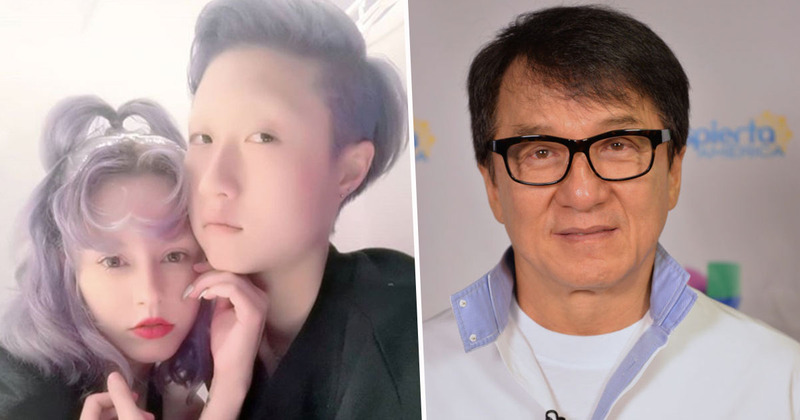 After marrying her girlfriend, Andi Autumn, last month in Toronto, Jackie Chan’s estranged daughter, Etta Ng, and her wife returned to Hong Kong, where they reportedly ran up a hostel bill they were unable to pay. 19-year-old Etta and 31-year-old Andi are said to have stayed at the hostel for five nights. According to the hostel owner, the pair would only ever emerge from their room at around 4 or 5pm to get food. After they had left, the hostel owner said their room was littered with empty food containers and boxes of rubbish. They were not aware of their guests’ identity, only that the couple were ‘models’. Their stay should have cost HK$2,250 ($287). However, when asked to pay for their room in the hostel, which was in Mong Kok, Etta could only hand over HK$20 ($3.50), claiming that was all the money the couple had between them, Shanghaiist reports. Instead, Etta and Andi had to call on Etta’s mum, Ella Ng, to drive them to the bank and get money out for them. Ella Ng is a former Hong Kong beauty queen, who had an affair with Jackie Chan in 1999. Etta and Andi got married in November this year at a ceremony in Toronto. The pair have now returned to Hong Kong though, calling it home ‘with the family that you can choose’. There is nothing greater than true love found. With love we’ve returned. My home is Hong Kong, a beautiful city full of life and passion. In a separate Instagram post, the newlyweds revealed they had both been ‘abused as children who never felt love’. Earlier this year it was also reported that the pair were homeless and sleeping ‘under a bridge’ because of their ‘homophobic parents’. If you never give up on love and you put all your heart into the family youve [sic] dreamed of, an open mind and warm heart will guide you to happiness. We have been in the persuit [sic] of happiness the day we were born. Abused as children who never felt love, we have so much to give. We have concorcured [sic] our fears, accepted our faults, and now we understand that the people who hurt us are hurting still. We have all been hurt but if you can dream of love, you can find it. Love is kind, it does not judge. Love is both strength and weakness. Love can make change. Etta’s father, the actor Jackie Chan, recently opened up about his past in a revealing autobiography, calling himself a ‘b*stard’ and vowing to change. In his book, called Never Give Up, the actor made several shocking revelations about his history of drinking, gambling, visiting prostitutes and marriage problems.